You are here: Home » Best Swedish Gifts to Get and Give in Canada! Time already to get a head start on shopping for the holidays by buying unique gifts of Swedish design right here in Canada! Your receivers probably will not see these anywhere else, so you’ll be both unconventional and trendsetting. I’ve compiled some great gift ideas and happen to be selling a few of these items at the SWEA Toronto Christmas Festival this year, so make sure you stop by and say hello! 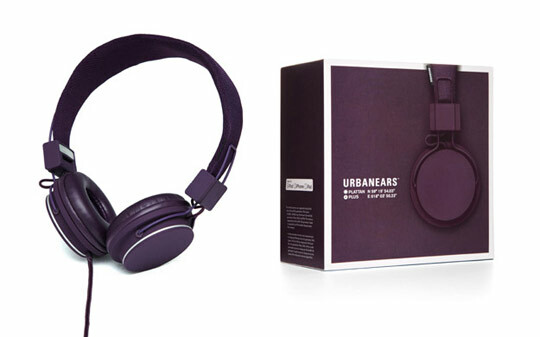 For that trendy teen who’s always plugged in, Urbanears fits the bill. Designed by Swedes and available at the ubiquitous and very Swedish H&M stores across North America, they are uber hip and maximized for the iPhone and iPod products. Available at the Bay, O&R have made even the office a trendy place by using very simple and clean designs for notepads, calendars, tablet accessories and the like. It means “Neat & Tidy” in Swedish, and that’s what you will be if you buy their lines! 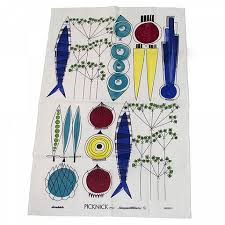 Swedes are known for their textiles, and these are some of the more classic, vintage Scandinavian designs from the 50s and 60s. Almedahls fashionable tea and kitchen towels are perfect for that impromptu FIKA that you always hear about. Picknick, pictured below, is one of the nicer and classic designs. We will be carrying Picknick this year at the SWEA Toronto Christmas Fair! Yes, there is a difference! Swedish chocolate is very creamy and not overly sweet, like the North American chocolate. 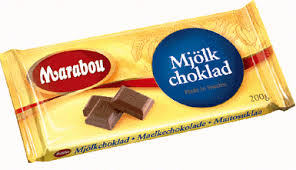 Their best is Marabou Chocolate, which comes in 250 g bars! They’re ginormous… the Swedes take their chocolate seriously. We will be selling many varieties of Marabou Chocolate bars at the SWEA Toronto Christmas Festival. And you thought reindeers were only imaginary! 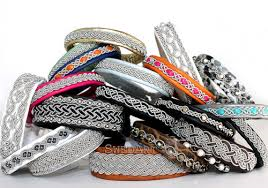 These chic and unique reindeer leather bracelets are available in North America and made with very beautiful designs twisted in wire. Some celebrities, like Sheryl Crow, are known to love and wear these! Most Swedes are in their comfort zone in nature, and this company is highly geared to those rugged Swedish naturists. They have a classic line of backpacks and outdoor wear that have never gone out of style for the Swedes, as this company has been around for over 50 years. 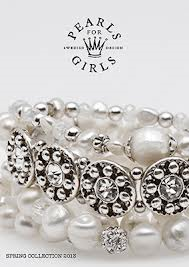 Fun, yet beautiful jewelry for both everyday and special occassions, Pearls for Girls is of high-quality Swedish design. They will be selling their jewelry at this year’s SWEA Christmas Festival November 22-23rd on Saturday 11-5pm and Sunday 11-4pm. For more gift ideas, come to the SWEA Toronto Christmas Festival! We’ll have even more gift products available from Pluto, Design House Stockholm and other unique Swedish/Scandinavian handcrafts. ← New Design Products Making a Splash at This Year’s SWEA Toronto Christmas Market!